The U.S. Coast Guard station in Vermont says all boaters can learn from actions taken that led up to a successful rescue Tuesday night on Lake Champlain. A woman’s 17-foot catamaran sailboat capsized near Schuyler Island when the weather on the lake quickly got rough, the Coast Guard said. The sailor, who left from the Winooski River on the Vermont side of Lake Champlain, had a cell phone in a waterproof case, so was able to call 911, according to the Coast Guard. Then, as rescuers were looking for her around 8 p.m. Tuesday, she was able to use that phone as a strobe light to draw attention to herself. Coast Guard crewmembers said the woman did another thing right, by staying on top of the sailboat rather than trying to swim to shore. The Coast Guard calls that a good idea, as long as there’s not a fire or other immediate danger you need to escape. 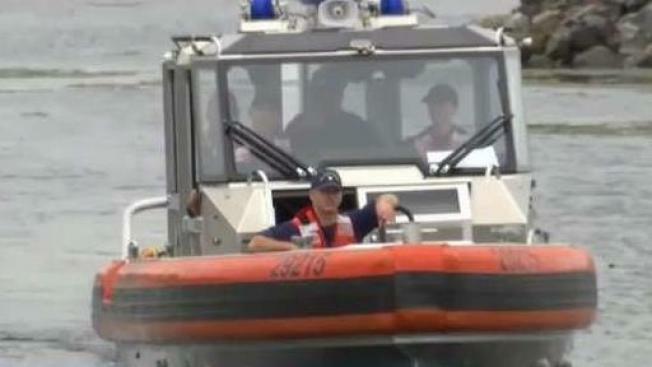 The Coast Guard encourages all boaters to wear life vests, as the sailor in this case did. The woman’s life vest had trouble inflating, Weston explained, due to a problem with a CO cartridge, so he encouraged boaters to make sure they’re familiar with their equipment. Weston said the sailor who needed saving Tuesday night did not suffer any injuries. It will be up to the owner of the sailboat to come up with a plan to remove it from the water, rescuers noted.